Sales shopping seems a harmless way of buying clothes, but there are wider consequences to consider. 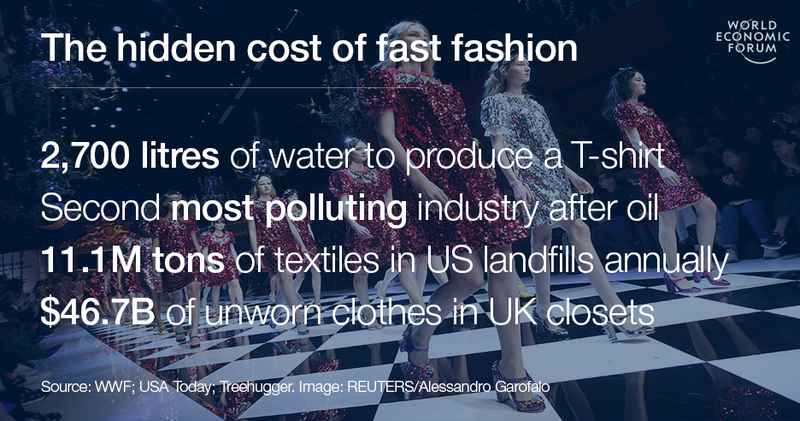 Vibrant colours, prints and fabric finishes are appealing features of fashion garments, but many of these are achieved with toxic chemicals. Textile dyeing is the second largestpolluter of clean water globally, after agriculture. Greenpeace’s recent Detox campaign has been instrumental in pressuring fashion brands to take action to remove toxic chemicals from their supply chains, after it tested a number of brands’ products and confirmed the presence of hazardous chemicals. Many of these are banned or strictly regulated in various countries because they are toxic, bio-accumulative (meaning the substance builds up in an organism faster than the organism can excrete or metabolise it), disruptive to hormones and carcinogenic.